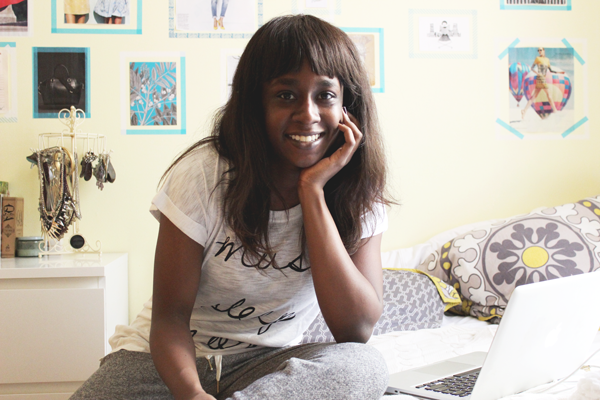 Today I’ve got a different kind of style post for you- my style at home. I’m the kind of person that puts on their pajamas or comfy clothes as soon as they get home from work. 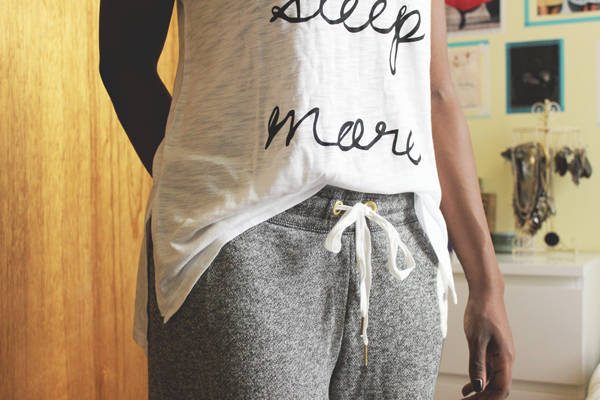 On the weekends, if I’m not planning to go anywhere, you can bet that I’ll be in my pajamas all day. 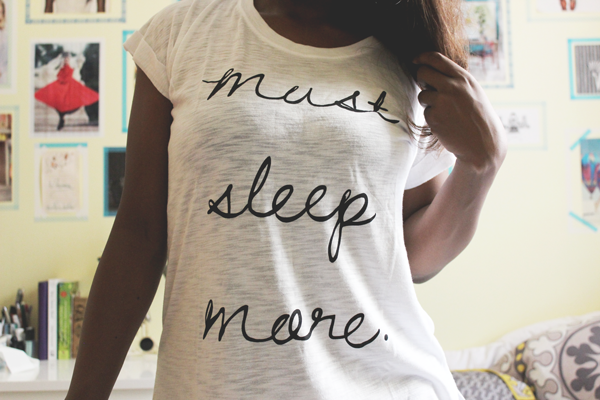 As soon as I saw this ‘must sleep more’ tee, I wanted it. I always want to sleep in, but some time during the past couple of years, my body clock has normalized itself and I now wake up around 7:30/8:00 am every day (including weekends). 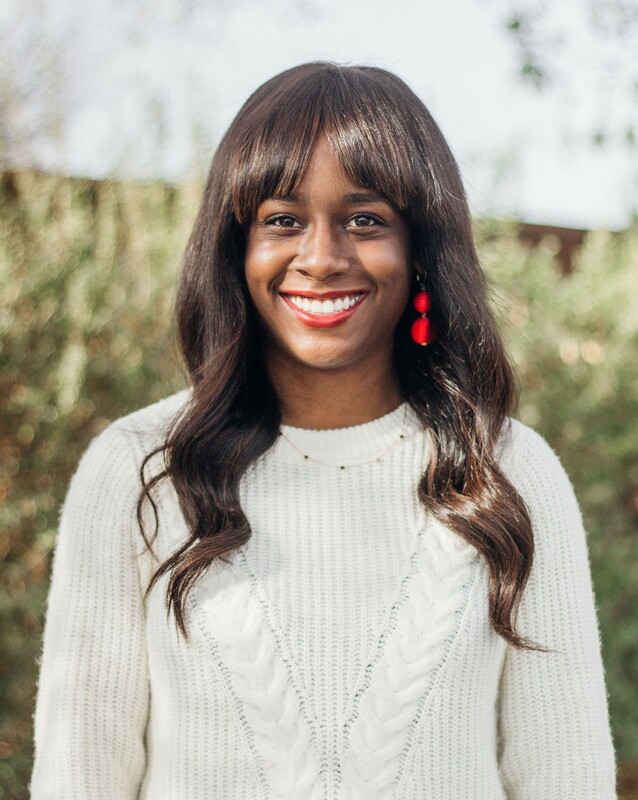 Is this adulthood? Let’s be honest- I’ve still got fuzzy pajama pants from middle school, but these cozy, new sweatpants are a nice change. They’re comfortable, but still stylish enough that if a friend dropped by unexpectedly, I wouldn’t look like a complete slob. I had a pretty chill weekend. My godmother was in town, so on Saturday night I grabbed dinner with her and my godsister. Yesterday Jessica and I met up for brunch in Williamsburg, then we walked around the neighborhood because it was such a nice day. She showed me several shops that I’d walked by many times, but never actually been to. We also discovered a really cute bookshop called Spoonbill and Sugartown Booksellers. 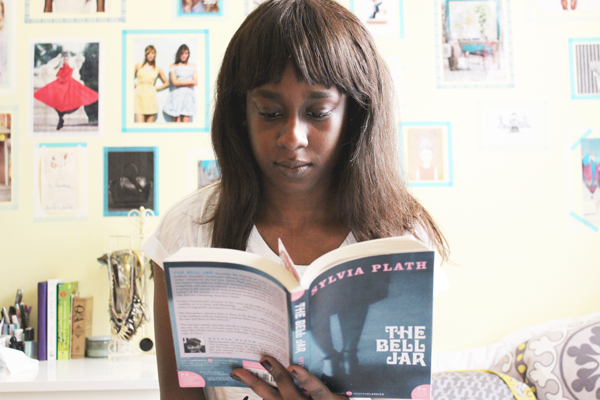 When I got home, I worked on some blog stuff and read more of my current book, The Bell Jar.